We are delighted to see our new solar pv panels being installed today on our house in north Archway, as part of the Mayor of London’s Solar Together project. They have only cost £3,500 plus £600 to connect to the hot water system. 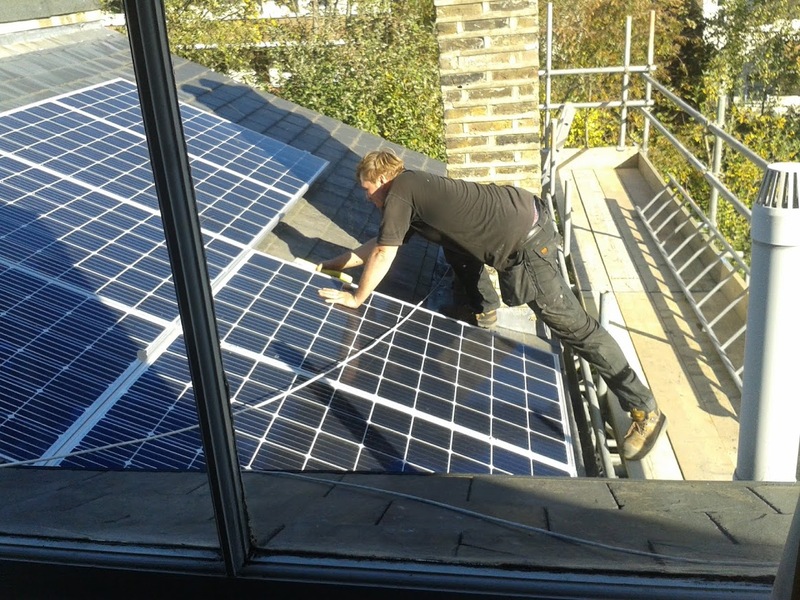 An absolute bargain, and the installation is proceeding smoothly with Solar Together’s chosen company Ecolution. I believe that the current round of installations is closed, but anyone interested should register their interest with Solar Together to build impetus for another round, website is here: https://solartogetherlondon.ichoosr.com/Product/index.rails The panels are very much cheaper than usual, and this price saving is achieved by bulk buying. The Solar Together project is part of the Mayor’s Solar Action Plan, the first of its kind in London, and sets out how the Mayor (our Labour Mayor Sadiq Khan, a great improvement on his predecessor), will put London on track to achieving 1 gigawatt of installed solar capacity by 2030, and becoming a zero carbon city by 2050. With climate change becoming much more imminent (as per the IPCC’s latest report, and our own experiences) the Solar Action Plan is an encouraging step forward.